The following blog post was first published last February 2014. Minor changes have been made. Yes, I’ve drunk the electric green and blue Kool-Aid. 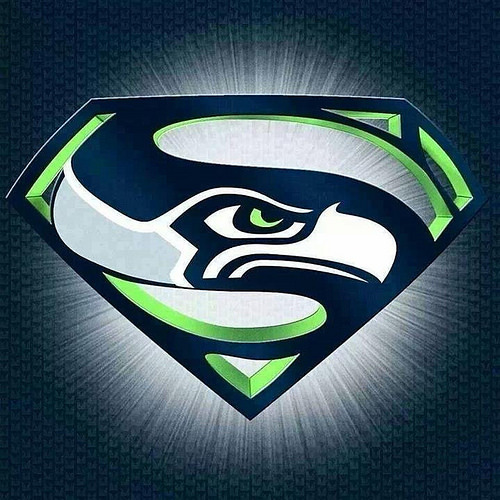 I’ve gone belly up to Seahawks mania out here in the Pacific Northwest. And while the pronoun is not my preferred, I am the Seahawk’s12th Man. And while the metaphor is not perfect, I have come to understand that there is so much congregations can learn from the 12th Man. I want a congregation full of number 12 jerseys standing in the pews. And if Skittles end up all over the sanctuary carpet, so be it. First of all, Seattle didn’t make up the 12th Man. The concept originated at Texas A&M in 1922. Seattle readily recognize this and the Seahawks will end up paying a breathtaking amount of money to Texas A&M for the use of the title. We made the model ours by adding Seahawk quirk and noise. We don’t have to be the clever ones to make everything up. We are fine adapting the best of what works. Congregations, take note about the adapting other ideas, but don’t get caught up in lawsuits over it. In this metaphor I’m thinking of the 12th Man as the congregational members. The board of directors and key volunteers are the players on the field. The head coach is the minister. Specialized coaches are other key staff. Work with me here. It’s not perfect, but don’t get hung up on that or you’ll miss the lessons. Our job as 12 is to cheer our team on and create a vibrant, buzzy culture where success can flourish. We do not assume we know more about football than the players and coaches who have been practicing and preparing and have special training. We do not jump to the conclusion that because our tax dollars and our ticket fees help play for the coaches and players salaries we should get to vote on the plays. We do not email the players with suggestions on how to play. We are not Armchair Quarterbacks. That is not our job. We cheer. We make a joyful, booming noise. We do not pout at the coach’s choice of plays and suggest to the other 12th Men around us that we could do a better job at coaching. We do not run on the field. Even if we tried out for the team and were not picked this round. If our team is down and the strategies seem unclear from our view in the stands, we do not throw our water bottles on the field. We do not boo. We do not call our beloved #25 a “thug” because of impassioned outbursts that don’t hurt anybody. We know there is so much more to #25, and we stand by him. Texas A&M’s 12th Man example taught us, we stand for the game, symbolically ready for coach to put us in. We stand ready to serve if called upon. And until that time comes, we cheer until we are hoarse and our face hurts from smiling. We shout and whoop to make sure our coach and team knows we’re right behind them through thick and thin. I want that culture in our congregations, too. I don’t even like football, but I’ll wear the #12 and shout for my team, because in the Pacific NW it’s become less about a sport and more about a unified community. 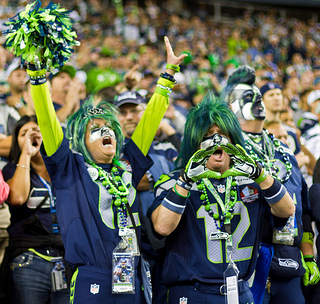 We are all the 12th Man, whether you’re wearing a silk Seahawk tie or your earplugs are neon green or the number 12 is drawn in the mud on your truck. The 12 is about coming together to cheer on something larger than us. I want that for our faith tradition. 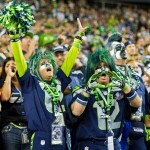 So please pay attention to the 12th Man this Sunday during the Seahawk-Packer Game. And don’t worry if the Seahawks don’t win the game. We’ve already won. Rev. Tandi Rogers has enjoyed walking around around Tacoma feeling more connected through the common number 12. Come Sunday afternoon she will be covered in Seahawk bling and making a joyful noise. On Monday she will be hoarse. A special thank you to Susan Tusa, former president of Tahoma UU Congregation in Tacoma, WA who helped her write this piece.